The PV industry has entered a time of maturity. As systems get larger, operations optimized, and risk adverse investors evaluate the industry, there is a growing need for accurate measurements in the field. Using I-V curves for PV performance testing is critical for systems owners to verify that their arrays are operating at their peak potential. Today’s monitoring systems only get so far. 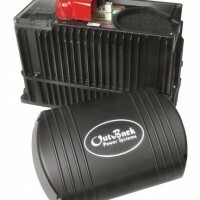 They report real-time data on the inverter AC output compared to the previous day or month or sometimes compared to the design goal. What they are lacking is the detailed information contained in a full I-V curve plus an advanced model to predict what the curve should look like based on the irradiance and temperature at that instant. I-V curves uncover problems that cannot be seen in AC monitoring data such as failed bypass diodes, excess series or parallel resistance in the modules or wiring, module or cell mismatch, etc. I-V curve tests are normally performed during system commissioning, troubleshooting, regularly scheduled maintenance and for module warranty claims. 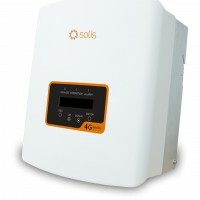 Users can test single PV panels or strings. I-V curves are measured using an I-V curve tracer such as Solmetric’s new 1000v PV Analyzer. The PV Analyzer sets new standards for accuracy, measurement throughput, and software features. Users set up a project file by entering the make and model number of the panel(s) they are testing as well as location parameters. The device is capable of measuring up to 500 points on the I-V curve in seconds. Many in the field believe that similar tests can be performed using electrical volt- and clamp-meters and handled irradiance sensors. However, these devices only measure two or three points on the I-V curve (Voc, Iop, and sometimes Isc) compared to 500 points with the PV Analyzer. Besides the obvious safety concerns with using handheld meters and even with a well-trained two person technician team, attempting to capture both the environmental and electrical measurements simultaneously proves to be difficult and more importantly not very accurate. When you need certainty during commissioning, or when in troubleshooting situations such as trying to locate underperforming strings and modules or making a case that something is not working as promised, a visual image of the I-V curve along with the supporting data is extremely helpful and necessary. At the core of accurately interpreting I-V curve measurements are the environmental factors of irradiance and temperature. Irradiance can change rapidly, even with an apparently clear sky. 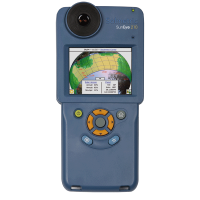 The Solmetric SolSensor that accompanies the PV Analyzer makes irradiance measurements at the instant the I-V curve is measured. The PV Analyzer predictive model includes sophisticated modeling of the spectral and angular response that modules have to irradiance. The conversion efficiency of PV modules decreases as temperature increases, and therefore temperature must also be measured when measuring I-V curves and modeling predicted performance. In the field it is common practice to use ambient or back-of-the-module temperature during performance testing, however this method tends to be less accurate at high irradiance levels. The Solmetric SolSensor uses a unique and highly accurate technique called SmartTemp. Simply stated it determines PV cell temperature by using a combination of a module backside thermocouple and the Equivalent Cell Temperature (ECT) which is derived from the measured I-V curve. At high levels of irradiance, the blend calculation is weighted towards the ECT, and at low irradiance towards the thermocouple value. The blended method provides higher accuracy than backside-only, infrared, or ambient temperature/windspeed methods and reduces the effects of non-uniform temperature across the array. 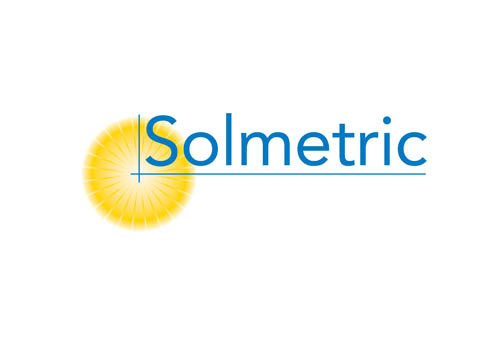 Solmetric are a US based company and the leader in solar testing equipment. Their award winning tools such as the SunEye, PV Designer, and PV Analyzer are used worldwide and set industry standards for best practices. 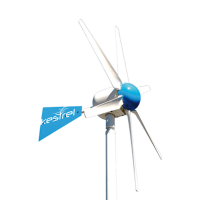 These are exclusively available in Australia from Si Clean Energy.